Dexter Daily: Jennifer Carpenter: "Deb Doesn't Know If Dexter Is An Enemy or a Protector"
Jennifer Carpenter: "Deb Doesn't Know If Dexter Is An Enemy or a Protector"
Via: xfinity.comcast.net: Great interview. 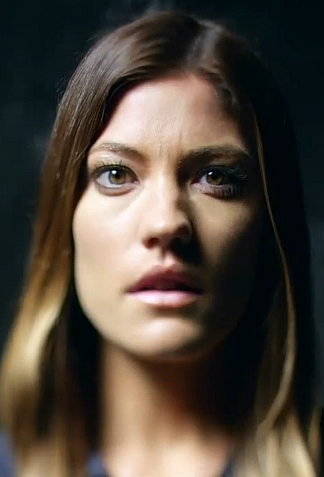 Jennifer Carpenter discusses what to expect in this explosive new season. Where do we pick up this season? It’s the next breath after Dexter’s, “Oh God” in the finale. So we’re right back in the church. This discovery obviously compromises her entire moral code as Lieutenant. How is she going to deal with that conflict? Does she fear for her own life? I think you see real fear in her early in the season about that. Then at the end of the day, there’s a part of me that thinks, Why wouldn’t this character think, Oh f–k it. If you want to end it, end it. She doesn’t even have a cat at home. What does she have to live for? But that’s not her. That’s what’s so amazing about her. She never gives up on anything. Look at how hard she beat the walls of Dexter. That’s the part where the character and I deviate. It is such a wonderful but taxing job on so many different levels to show up as the actor. But can you imagine if the stakes were as high to be responsible for public safety? What kind of struggle is going to ensue between Deb and Dexter? Every sentence is a struggle with Dexter. I can’t even tell you how hard it’s been to go to work. For the run of the entire series, my scenes with Michael have always been the hardest because he’s the person who can give nothing. So it doesn’t matter how hard I punch or how loud I scream or how many f-bombs I drop, there’s never a reaction. So it’s the loneliest experience to act with him. Now I have this knowing about him and I don’t know if I can trust a single word he says. I don’t know if he’s plotting it for me or against me, if he’s an enemy or a protector. Is it possible for Deb to be recruited by Dexter? To become another disciple? No. I will not. At the end of the hiatus, I said to [executive producer] Scott Buck, “I need you to help me sleep at night and tell me that I’m not going to be Lumen [Julia Stiles] or Jimmy Smits’s character.” We’ve seen the boy and the girl version of his disciples and I don’t want to do that. It was really important to me that what they have told me is true is going to be honored. Up to this point I feel like I go in and I tell the truth. If I start lying I’ll feel too small to drive to work. I wouldn’t be able to go out in the world for fear of running into somebody who watches the show. I just don’t want to lie to the audience when they’ve kept this on the air for as long as they have. If it starts to go that way then I would have a very big problem. What would you say is the major theme of this season? I think what I like about this season is that there’s such an emotional underpinning that it’s almost like a huge sheet has been laid out. A nice, clean, plastic [laughs] sheet has been laid out for the whole cast. And if that’s the theme we all get to dive into it. Every character has a stake in it. The show is a slice of life this year. Everyone represents some part of the human experience but for some reason it was all stirred in the same pot. Everybody is in the midst of a big change and every character arc feels important. I live in the world with the supporting cast and they’re doing a lot of heavy lifting this year. There’s no filler. Yvonne Strahovsky joins the show this season. What can you reveal about her character? I don’t have any scenes with her yet but we will later on. She gets up in all of it. She comes in in the third episode. I watched that recently, and ooh, she’s good. She’s so good. There’s something like, you know how a flame burns and it looks so enticing and you can get so close to it and it still feels good, but if you put your hand in it, you get burned? That’s what her character sort of feels like. And she’s so much fun to have around. It’s so nice to have the girl energy around. Great interview. Fab to hear Jennifer's view on things Dexter related. Wish there were more interviews with her over the past years. I love how she talks as Deb and then as The actor. You really get the feeling that she is very deep in this character this season. So she talks mostly in First Person about Debra. A bit confusing, but still nice to read. "No. I will not. At the end of the hiatus, I said to [executive producer] Scott Buck, “I need you to help me sleep at night and tell me that I’m not going to be Lumen [Julia Stiles] or Jimmy Smits’s character.”"
Jennifer Carpenter is absolutely right. At no point should we ever see Deb sticking a knife in someone in the kill room. ABSOLUTELY NOT. That is not her character. That's Dexter's gig. However, could she eventually accept him and love him darkness and all, absolutely yes. That's the whole point, Dexter needs someone to truly love and accept him without engaging in his darkness. That's usually the role of family members, to love you regardless of all the stupid things you might have done, don't you think? No, not at all. They should never ask the fans what to write in to the show. Because as fans, we are going to have different ideas of what should or should not be in the show, and they could never please every single one of us. They need to stick to their writers formula, whatever it may be. Their process obviously works, so we should just let them be. P.S. Great interview from JC. This is probably the most in depth I have seen her be in a while about the show and her character. Great stuff. Where are all the F-bombs, Deb? if this mens dont deserve to die,,he deserve? a man that killed a child deserve sorry and dexter dont??? I agree with Jennifer, not wanting Deb to be another 'disciple'. That wouldn't make sense for the character. However, I could see the season long arc of Deb trying to bring down the mobster boss through legal means and each time the police get close he manages to get out of it. Kind of like Little Chino in season 2, where he kept taking out the witnesses so no one would testify against him. You'd have this frustration building up in Deb about her inability to get this guy behind bars, coupled with her knowledge of who Dex is and what he does. So to mix up the formula, the "Big Bad" would be more of a foil to Deb than Dex. Episode 11 has the Big Bad do something incredibly heinous, like having Quinn killed (which would finally make his character mean something), with the police unable to prove it. Episode 12 you'd have Deb give Dex the green light to make him disappear. I think that is something that could work. Excellent. That would be a tight story. Could we be that lucky? Please tell me you write for this show.